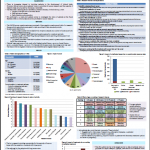 Below is the PACER poster which was presented at the National Cancer Research Institute conference in November. Dr Sing Yu Moorcraft, a Clinical Research Fellow, carried out a pilot study at the Royal Marsden. She asked cancer patients what they thought were their priorities for research and the results are very interesting. She is hoping to take the study forward by now carrying out the study at more hospitals to gain more opinions.